Felipe Bastos graduated in BA (Hons) International Management at Plymouth in 2017 and has now returned home to Brazil to begin his career as a Deal Advisory Trainee for KPMG in Curitiba, Brazil – a global network helping clients to mitigate risks and grasp opportunities. 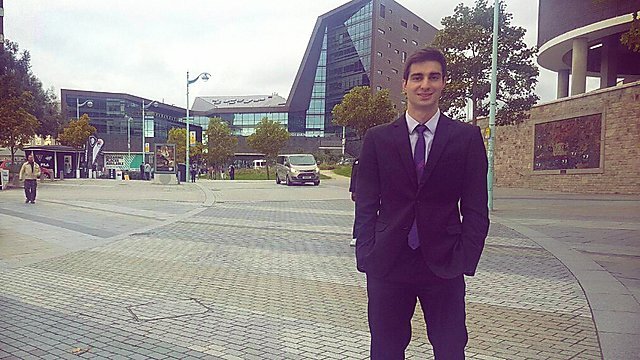 Felipe tells us what it was like studying and living in Plymouth and how the experiences gained at the University have benefited his career. I always had a dream of studying abroad. I became interested in studying in the South West of England when I discovered a Brazilian university had a partnership with Plymouth. I then decided to apply. Subsequently, employees of Plymouth visited Brazil and presented the University to us. It really fascinated me – the infrastructure and professionalism, the investments in research, the environment and the opportunity of studying in a great university in the UK. When I moved to Plymouth as an international student I always received the due support from the University. They explained all of the necessary aspects for a foreign student to adapt and integrate better. The University offers weeks of integration, international English classes, plus the Students’ Union (UPSU), which are essential to meet new friends and get used to life in a different culture. The city is amazing – there are many things to do – good restaurants and pubs, and great places to visit, such as the historical Barbican and the beautiful views found on the Hoe. The University itself has an excellent campus and infrastructure. All the staff are well prepared and they offer plenty of learning resources – the tools they provided certainly helped me during my studies. I had access to online services, such as Euromonitor and Market Line, library services, and the Languages Café where I could develop my language skills and therefore get the full benefits of the modules on my course. Apart from all the knowledge acquired during my studies, I also made great friends from all over the world and had unforgettable moments. I had the opportunity to travel around the UK with them. We visited amazing places. And even with a mix of cultures we created an incredible bond. Studying in Plymouth has definitely been a key factor in my career. Apart from the learning and experience I have acquired, holding an international degree certainly caught employer’s attention when deciding to hire me. It made me see things globally and dream bigger. I could see that the world is more globalised and studying or working overseas is not as distant as it was some years ago. Studying abroad in a high level university certainly prepares you and opens doors for bigger opportunities. 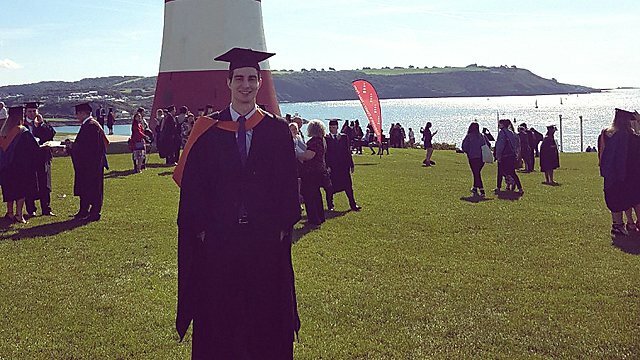 Plymouth helped me to learn to adapt to different situations – from habits, classes, language and climate, and to making friends across cultures. This has helped me adapt in my career to the constant changes that happen every day. The well-prepared professors offered us different point of views from diverse authors, which made me see different opinions and have a global view. While taking modules in leadership, international trade and finance, operational management for competitive advantage, and global enterprise, has no doubt provided me with knowledge that will remain essential throughout my career. After my graduation, I applied for a trainee selective process at KPMG in Brazil – a network that provides audit, tax and advisory services – and I was successfully approved. Since then I have been working as a Deal Advisory Trainee. It has been challenging, but highly rewarding in terms of the future career opportunities. Having only recently graduated and entering the labour market, every day a new challenge shows up that I need to overcome. These challenges make me grow professionally and personally. The skills acquired while studying at Plymouth definitely helped to develop abilities that have already been essential in my career. Deepen your knowledge of the international business environment and your understanding of how organisations operate in both multicultural and world contexts. Prepare for a career in the world of international business and improve your professional and business English communication skills. Choose modules to suit your interests, from subjects including international human resource management, global supply chains, operations management, and organisational leadership. Benefit from tutors who will not only provide excellent teaching, but also great pastoral care. Thinking of coming to study in the UK? 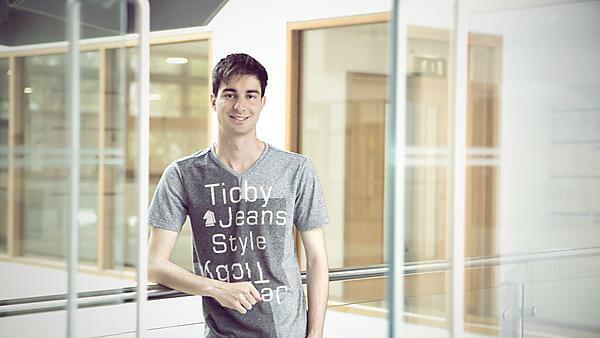 Find out everything you need to know about being an international student at the University.